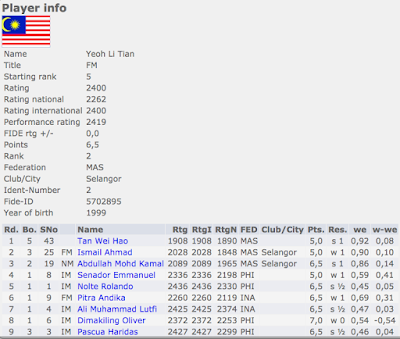 For many it was the long awaited return to Malaysian chess competition by No.1 ranked Dilwen Ding that made the Selangor Open this year so extraordinary as very many were curious to see first hand how good he had become. This has been especially so with a highly visible No. 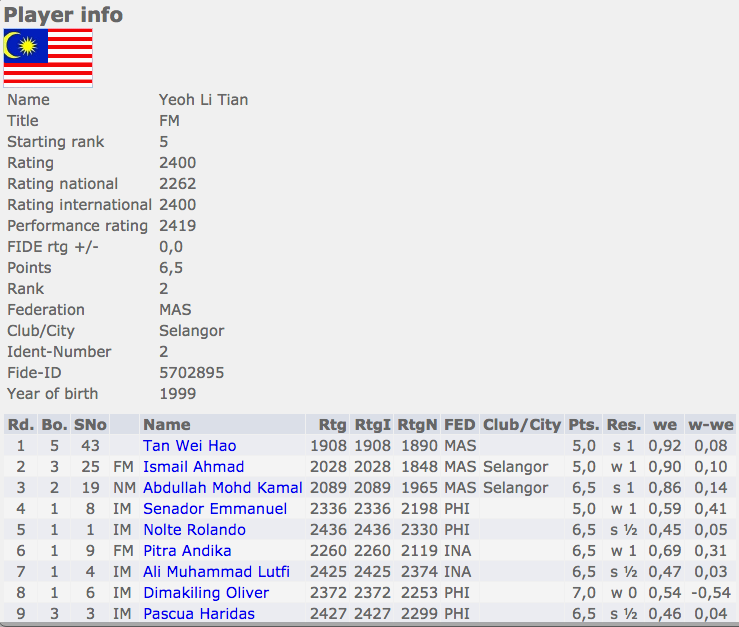 2 ranked Yeoh Li Tian having in the last two years been the dominant local player while also almost single handedly fighting alone for top honours in local international competitions against visiting foreign masters. 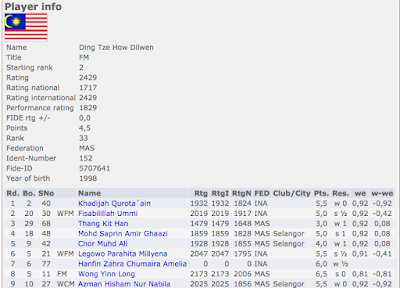 Of course the sponsorship of the tournament facilitated by Dato' Tan Chin Nam was clearly also all part of his moves against incumbent Malaysian Chess Federation President Tan Sri Ramli Ngah Talib in a long delayed and repeatedly postponed Annual General Meeting together with elections last promised for May 2016. In the end however, both fell short, Dilwen returning to the 1850 level he was at before his Hungarian adventures, while Li Tian played a completely different level of competition to finish in an impressive second place but with a result that was still half a point short of what could have been his final International Master title norm. 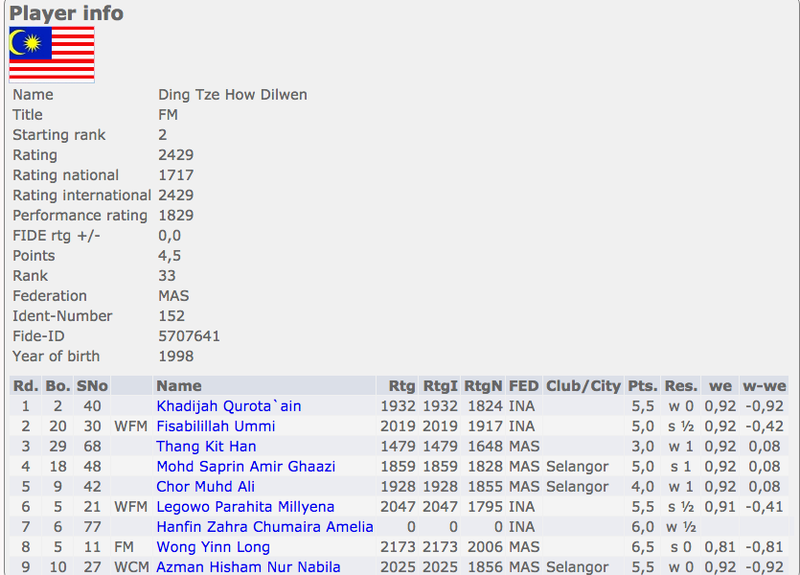 Dilwen struggled against the four Indonesia girls playing, getting a minus one score and with his loss in the last round against Nabila, it became minus two against five girls. And in his only game with serious local competition, Wong Yinn Long, he was well beaten. Li Tian in contrast led the tournament till his loss to the eventual winner and along the way played five International Masters and two FIDE Masters!